The study takes us into a leadership model of exponential adaptability, or Agile leadership, which may seem somewhat confusing for many of us: ‘The complex Leadership Framework of Leadership for Organizational Adaptability’ where it combines three types of leadership: operational leadership, facilitating leadership and entrepreneur leadership. The ability to create “adaptive spaces”: places where scenes of overcoming, questioning the current status quo, and where, through conversation, new connections and new levels of consciousness are established. The ability to generate “controlled conflict situations”: moments in which time stops and teams must make important decisions, where they adapt themselves through conversation, debate and discussion, in a respectful human environment. The ability to provoke a “sense of controlled urgency”: where negative emotions are managed and transformed into positive energy for the sake of adaptability. The ability to permanently create connections: with the objective of creating maximum interaction between people and developing the organization in a holistic way. Companies such as Google, Netflix, Amazon, Toyota or Spotify have shown that there is a direct relationship between the type of leadership and the results achieved. For decades, we have been using systems based on ineffective models of deployments, policies, procedures and programs, which have turned out to have a short-lived impact on results of organizations. However, the virulence with which Agile has broken out, demonstrating the effectiveness and sustainability of its values, principles and rituals, is unprecedented. 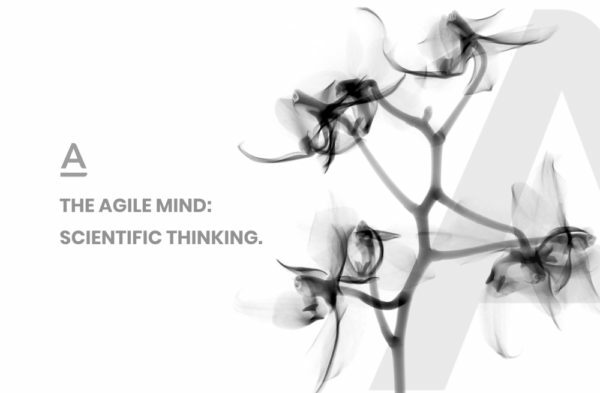 Agile is the necessary management model in the exponential world. And the leadership we need to guide companies in this world, of course, is Agile leadership. 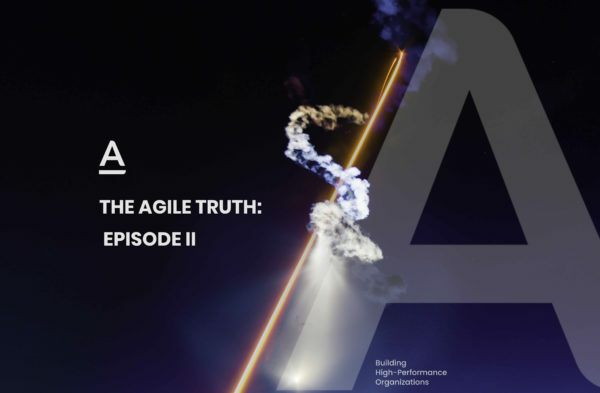 In the future, businesses will need Agile leaders, but the future is now, so we need them today. 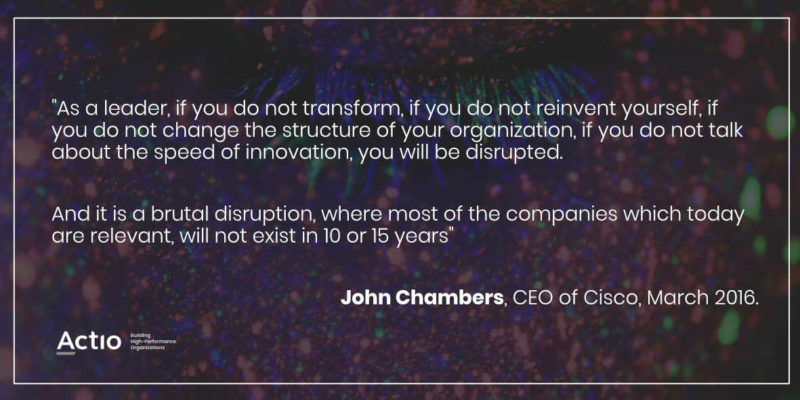 It is really worrying to see that companies do not move, do not take that step forward, and continue to adopt obsolete leadership paradigms and models. Throughout 2018, Actio Global conducted a survey in 212 companies involving 340 managers in order to understand the main challenges organizations will be facing in the future. Surprisingly, we actually know we must develop new leaders and teams, we know we must bet on people, we know an Agile transformation is necessary, but we do nothing. The situation is worrying because we know that the exponential change is going to hit the organizations in a virulent way. If we do not have a prepared and adequate business leadership, we will all become victims of that change. How do you recognize an Agile leader? 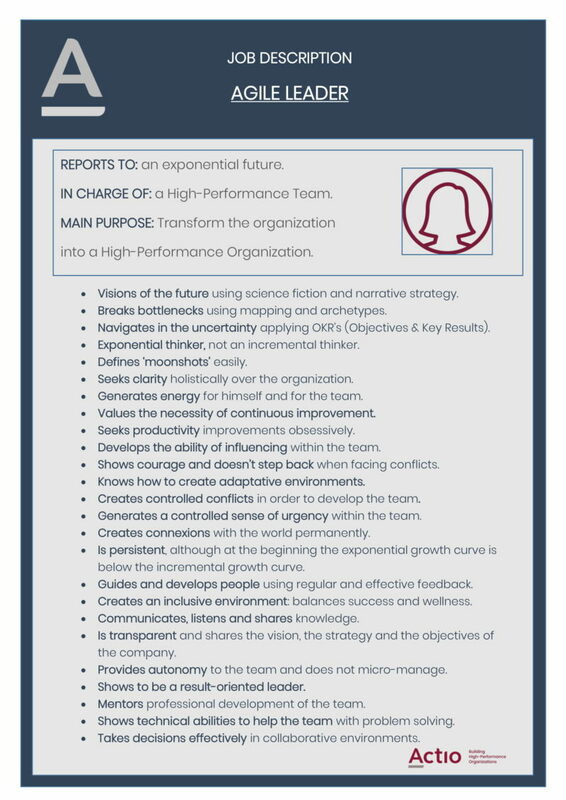 In order to shed some light in dark of the search for Agile leaders, which we need immediately, I share the list of elements that should be incorporated in the Job Description of the leaders of the future.